KAT + COTTO were joined on the dance floors of Ibiza in the summer of 2014. This chance meeting was serendipitous as both ladies live in the City of Angels, LA. The duos musical style is inspired by the beaches and sunsets of this magical white island. KAT, DJ/ Producer and music label founder of LOVE F.A.M.E. RECORDS, has held residencies in nightclubs from Tokyo to New York, curates runway music for fashion designers and corporate events. COTTO, violinist and founder of Pacific Coast Strings, is a classically trained international talent who has been touring the globe performing in world famous music venues and a wide array of musical legends Tony Bennett, Mary J Blige, Stevie Wonder & Erick Morillo. 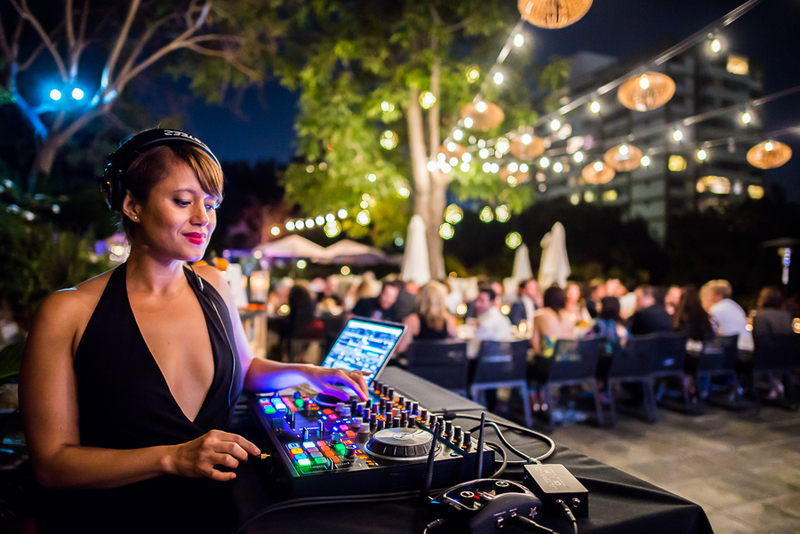 The combination of KAT’s fun and eclectic beats fusing with COTTO’s beautiful violin creates a decadent vibrance that invigorate soirees and brings the enthusiasm to the dance floor!